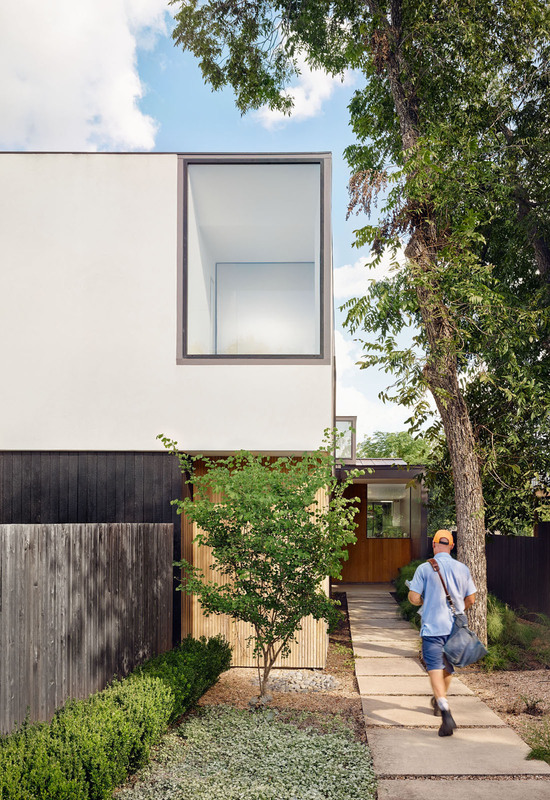 In Austin, Texas, where housing is in high demand, the innovative formation of two condos (a primary residence and an accessory dwelling unit) provides increased density and makes the South 3rd Street Residence affordable. 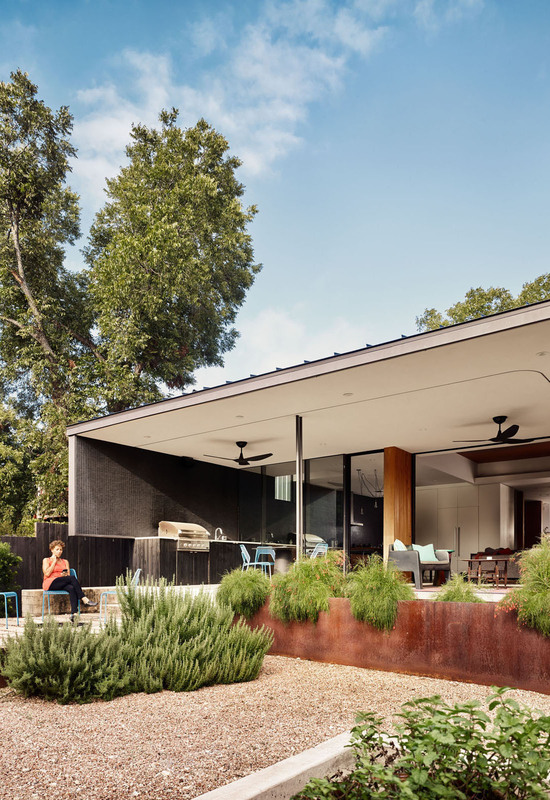 Considering the proximity of the ADU and the capacity of the second level to function independently as a rental or guest suite, the design balances privacy with a seamless interior/exterior environment. 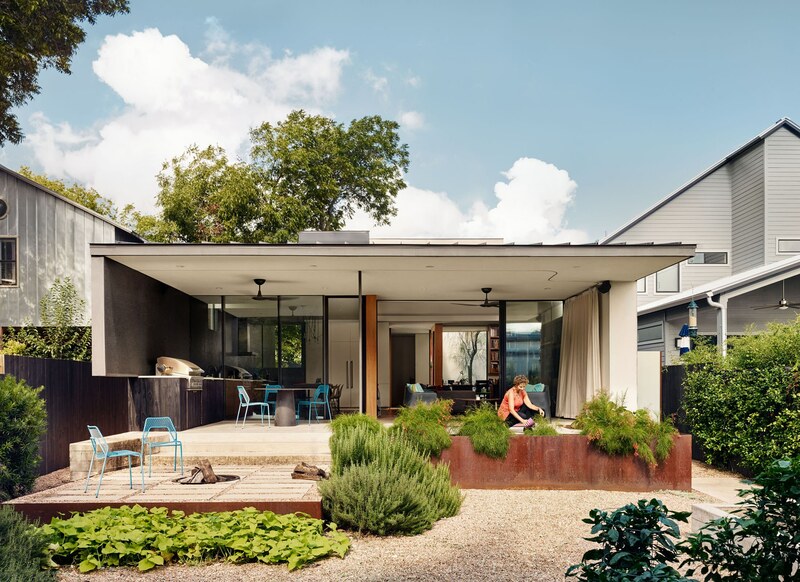 Courtyards punctuate interior space to negotiate privacy and provide various ways of experiencing the outdoors. 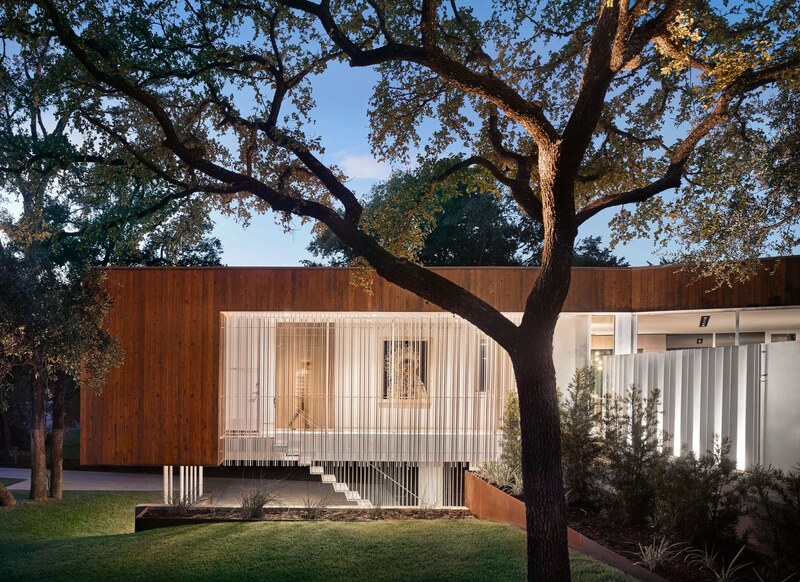 A small court visible upon entry places the outdoors at the center of the house. 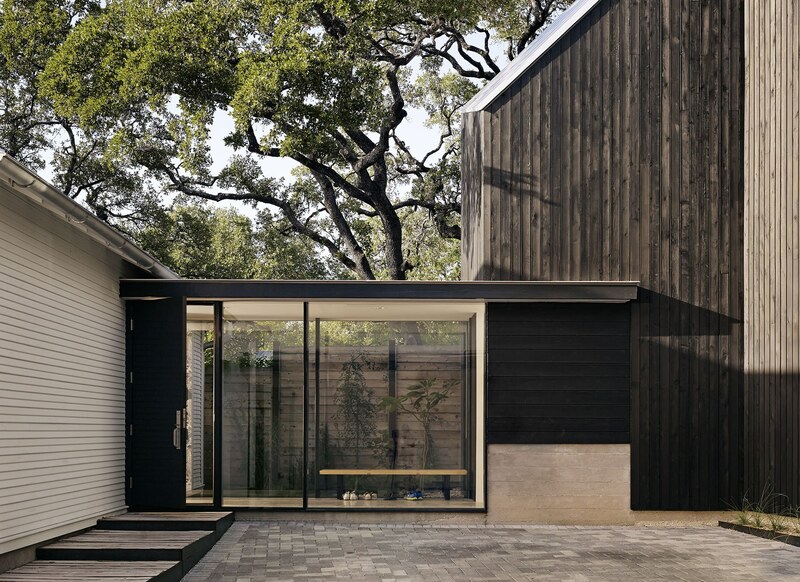 A walled courtyard off the master bedroom counter-intuitively faces the street but is inherently private, and allows for an open living space and large porch to stretch the width of the lot and merge fluidly with the exterior. 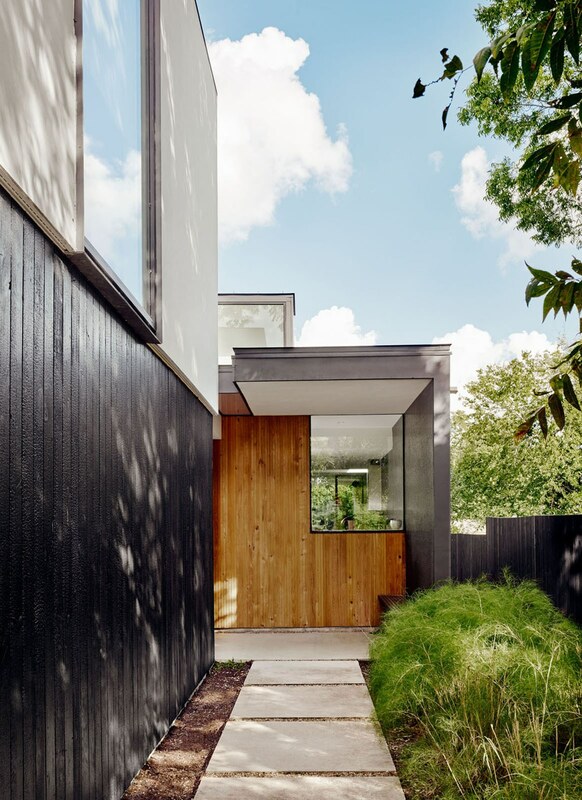 Materials like black ceramic tile and purpose-built millwork are deliberately employed to connect interior and exterior spaces. 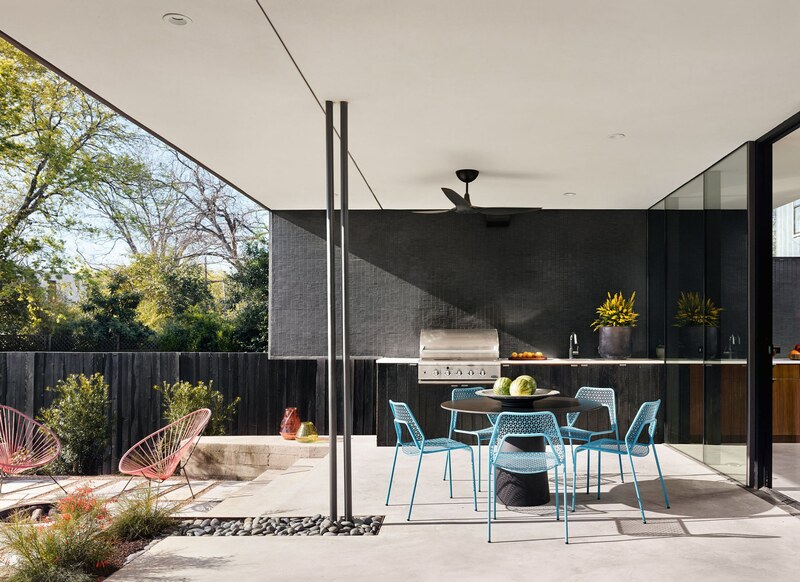 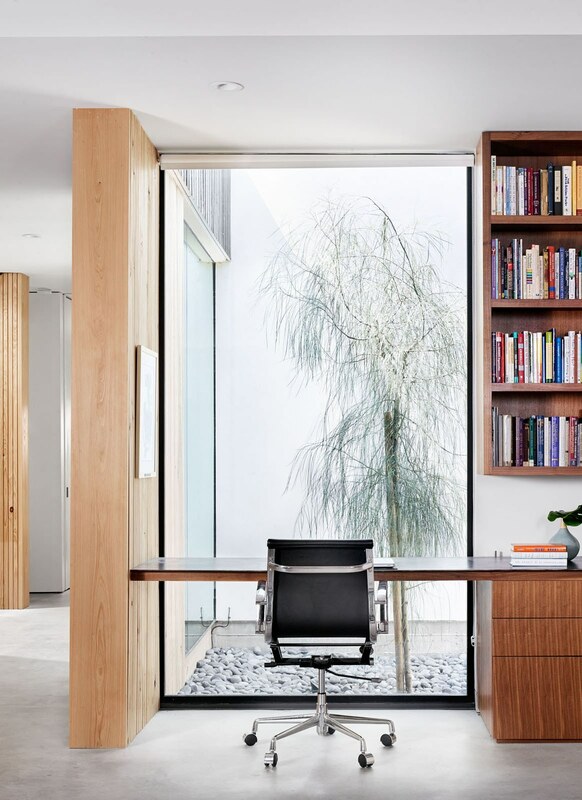 Thus, the house reflects the increasingly necessary densification of centrally located property in Austin as well as the desire to live seamlessly between inside and outside.